Its trademark is its beautiful, profuse coat, but the intelligent and agile Old English Sheepdog (OES) can easily complete any demanding task asked of him by a shepherd or drover. Square in build and possessing great strength, the OES enjoys working. The Old English Sheepdog originated in the early 19th century in the western counties of England, and is believed to have descended from the Scotch Bearded Collie and the Russian Owtchar. The OES herded sheep and cattle into major city markets, earning the nickname "bobtail" due to their docked tails. The short tail signaled their working status, earning their owners a tax exemption. 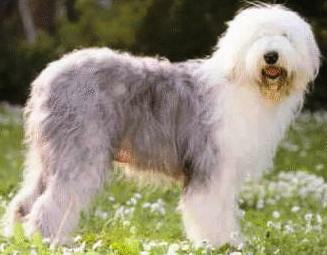 The history of the Old English Sheepdog goes back around two hundred years. The breed was registered with the AKC in 1888. The Old English Sheepdog is a large, squarely proportioned, agile dog with a profuse shaggy coat. The body is stocky, well-balanced and muscular. The topline slopes upward from the withers to the loin. This unusual topline is an important breed characteristic. The brisket is very deep and the chest broad. The forelegs are straight with small, round feet pointing directly forward. The large, rather square head is covered with hair and has a well-defined stop. The small ears lie flat. 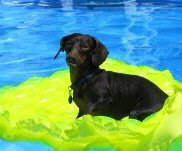 The dog may have blue or brown eyes, or one of each color. The nose is large and black. The teeth should meet in a level or tight scissors bite. This breed is either born tailless (as the name Bobtail implies) or the tail is completely amputated. The Old English Sheepdog has a long double coat with coarse guard hair and a soft downy undercoat, which insulates the dog. The accepted coat colors are blue, gray, blue gray or blue merle, often with white markings. 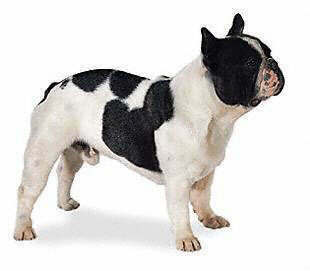 Sometimes white is the predominate color with markings of the above listed darker colors. This breed has a rolling, bear-like gait and a distinctive low-pitched, loud-ringing bark. 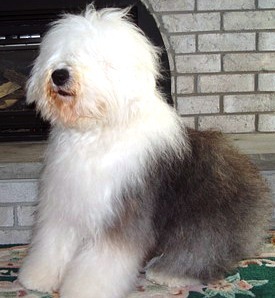 The Old English Sheepdog has a course, longhaired coat and needs constant care. They do need to be brushed and combed at least three times per week, as their long shaggy coat can attract dirt and debris very easily. You need to brush the coat of the Old English Sheepdog several times a week, and each grooming session can take one or two hours. 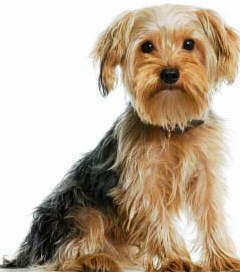 This dog is known to develop skin problems and the hair will become matted if it is not well-maintained. These dogs are commonly used as show dogs, and will require the services of a professional groomer for the appropriate care. The life expectancy of the Old English Sheepdog is around 12-14 years, and there are a number of health problems to look out for with this breed. This includes cataracts, glaucoma, entropion, thyroid problems, deafness, diabetes, HD, PRA, allergies, skin problems, and heatstroke in full coated dogs. The Old English Sheepdog requires intensive exercise on a regular basis, and enjoys a variety of activities that involve vigorous movement. As a result, they are not well-suited for cramped living spaces or small apartments. They are fairly active indoors, but can become destructive if there is limited space. 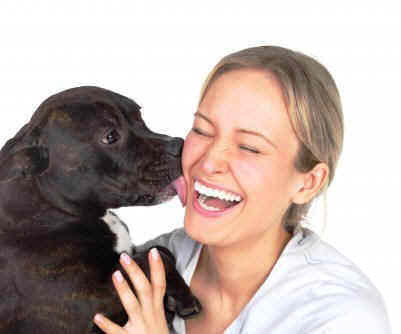 An average-sized yard is ideal for these dogs as they enjoy being quite active and playful.